On October 3rd, my father, Marcus Kilkenny of Malchijah Hats, took a terrible fall that fractured his neck, bruised his spine and has caused paralysis and loss of control of his body. Marcus Kilkenny has been a staple in the Brooklyn Community for over 20 years. He is the owner of Malchijah Hats, created in tribute to his son, my brother, who passed away in 1995 from meningitis. Marcus is the definition of hard work. Working 7 days a week from sun up to sun down creating hats for the community. His creations have been featured in news stories, editorials, and even in an international documentary. This painful experience has been challenging for Marcus and his family, but after decades of using his hands to build up his community, the inability to use his hands – and thus the cost of his passion and his livelihood – has been the heaviest cost of all. Throughout this ordeal, my father continues to be a fighter and pushes himself to regain his mobility. 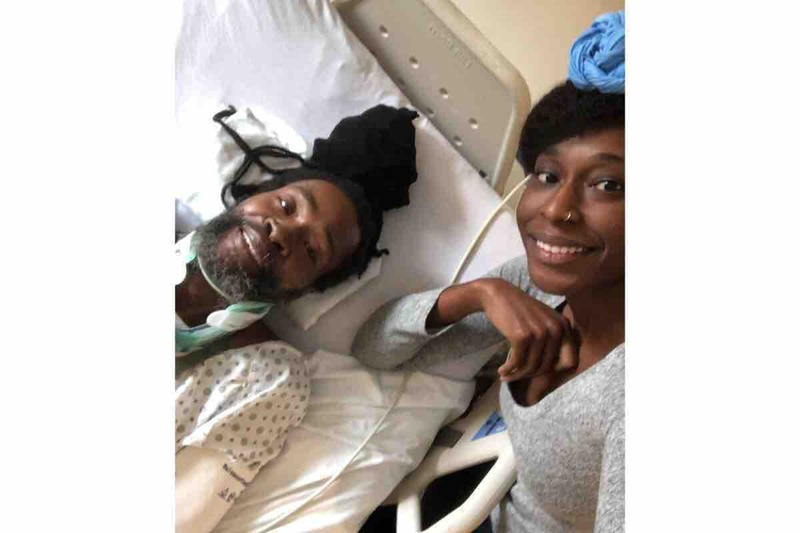 On November 7th, after over a month in the Intensive Care Unit, Marcus was transferred to Mount Sinai Spinal Cord Injury Rehabilitation Center, where he will receive intensive physical and occupational therapy. This terrible accident could not have come at a more difficult time. Marcus was in the beginning stages of acquiring a new lease space and has since lost his shop and is unable to contribute to the financial impact of his surgeries. Marcus was also uninsured during this incident and I have been working tirelessly to gain coverage to help aid in the expenses. Once released from rehab, my father will need round the clock care. It is anticipated that his journey to recovery will be one of great length. At this time, we know that we will need to convert his house to be handicap/wheelchair accessible. Our prayer is to have my father to regain his mobility once again. He has continued to show his resilience, strength, and optimism throughout this process. We ask that you pray for his speedy recovery and, if you can, to donate so that we can create the best environment to aid in his recovery. If you have any stories to share about my father or pictures, feel free to upload them as they will keep him in good spirits. Greetings family and happy new year. Thank you for your continuous love prayers and blessings. We are sad to share that the Malchijah Hats store is now closed. Thank you for over 20 years of support. We hope to reopen once Marcus is healed. Update: Due to the discovery that the original surgery performed by Kings County was poorly done, Marcus is now scheduled for a revision surgery at Mount Sinai this Monday or Tuesday. We ask for your continued prayers to see Marcus through this next procedure and that it is performed safely and properly. Thank you and we will keep you updated.